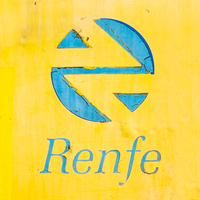 PTG tours 20th Anniversary special train from Madrid to Teruel. 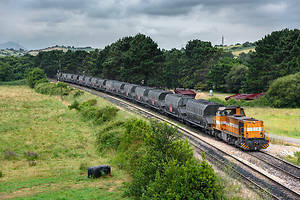 Coal tran from Avilés to Veriña with 317.002 of Comsa. 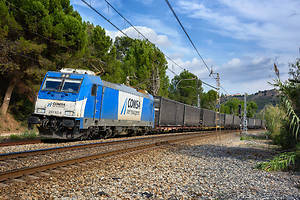 Paper train from Barcelona to El Espartal with 253.102 of Comsa. 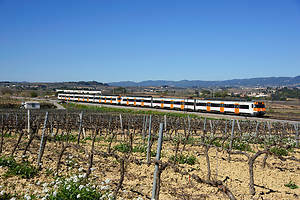 Regional train from Balaguer to Lleida. Historic train "Catalán Talgo" from Portbou to Barcelona. 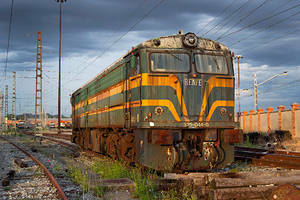 Teco from Bilbao to Barcelona with 335.023 recently painted. 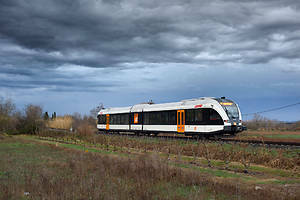 331.02 with RL1 From Lleida to Balaguer in a very storm day. 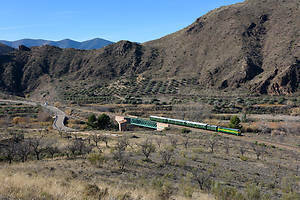 Commuter train to Manresa near La Granada. 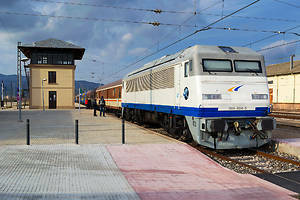 Renfe Alco 2144 in Miranda de Ebro. 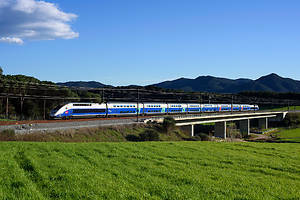 Historic train form Madrid to Tarragona. Military train to Eindhoven with DBS 6435 in Heierhoeve.